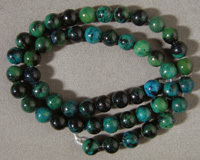 The first four strands are from our regularily updated gallery of gemstone beads. 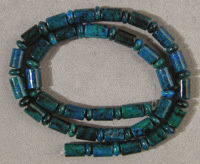 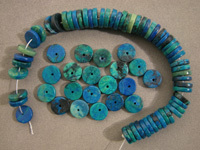 Earlier were added several strands of the first wide rondelle beads pictured here. 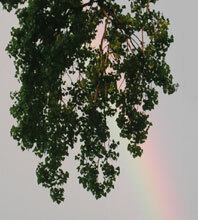 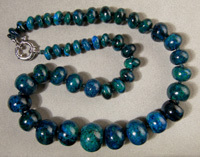 The second strand pictured is also a necklace. 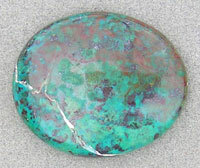 The cabochons below are old stock from Arizona. 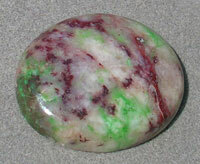 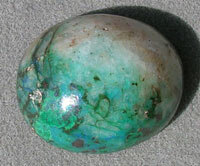 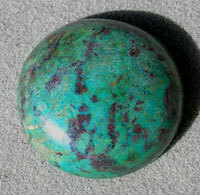 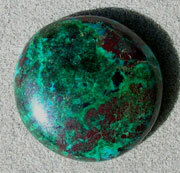 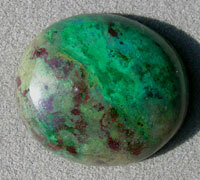 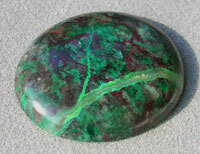 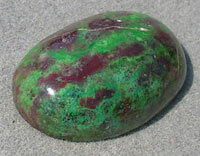 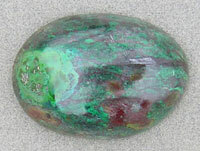 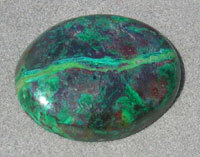 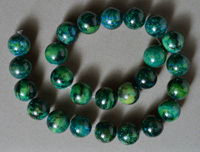 The great color variety is from the blending of chrysocolla, malachite and cuprite. 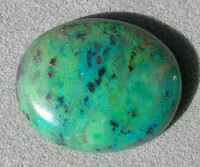 These cabs were cut half a century ago and you won't find many more like them.